This introductory tutorial provides examples and visualizations for beginners in the fundamentals of graphing Velocity vs. Time and Position vs. Time. Physical quantities are related to graphical features, such as the relationship between slope and velocity. 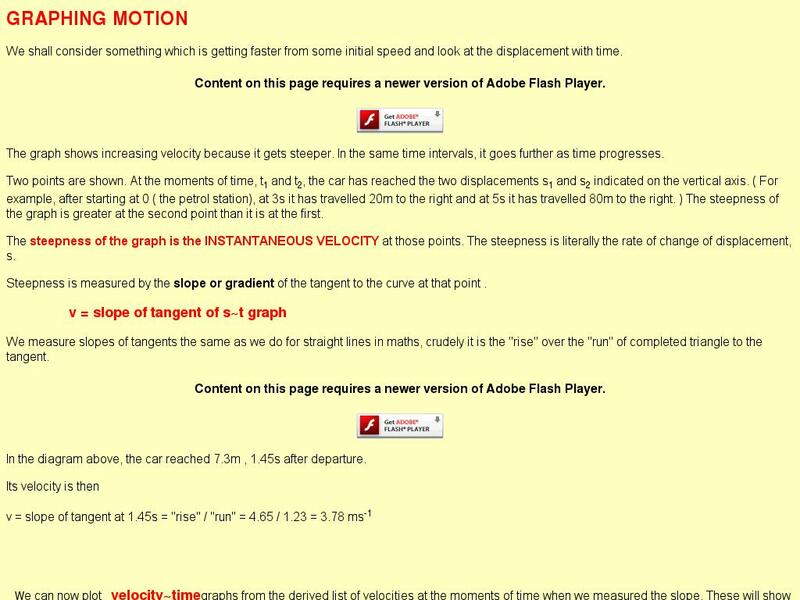 Images and Flash animations are used to present the material, along with examples that demonstrate problem-solving using formulas relating to displacement and constant velocity.